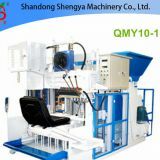 Operation according to the menu: starting the machine by the screen instruction, it can run automatically, and can realize unmanned operation. 1. 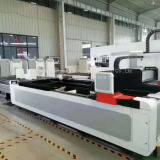 Operation according to the menu: starting the machine by the screen instruction, it can run automatically, and can realize unmanned operation. 2. Full intelligent quality control: advanced distribution pattern, to ensure that the same plate brick quality error less than 2%; full intelligent monitoring system, to ensure that each board brick quality be consistent from beginning to the end, and also meet the strength requirements. 3. 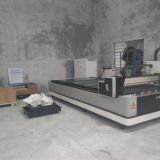 Full intelligent fault treatment: fault not caused by the components, the machine can automatically judge and remove, no need the artificial solutions, to ensure the production proceed without interruption. 4. Intelligent data statistics: in the process of production, various kinds of data can be collected according to the user's requirements, and can automatically adjust some parameters on time, so that it could control the quality of products more effectively. Raw materials after screening and crushing, through pressure and vibration, become one-time and final molding blocks. it could produce 34 bricks/board every 15 seconds, as for the hollow blocks, it could produce 6 pieces. therefore, it could produce 65-70 thousand bricks every 8 hours. 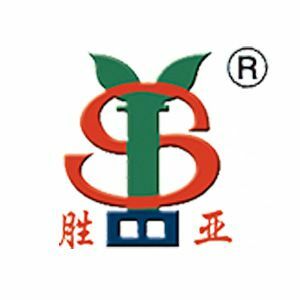 wide range of raw materials could be adopted such as fly ash, coal residue, coal wastes, chemical residue, sand, stone, concent, cement, construction wastes and so on. 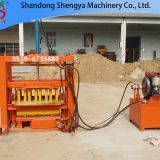 therefore, it is a new type of machine which has the characteristics of energy conservation and environmental protection. 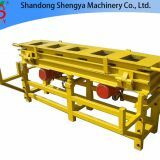 Shandong Shengya is One of the Manufacturer of Automatic Block Machine. 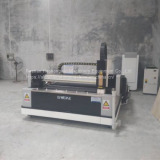 We designed various new models in fully automatic Interlocking Bricks Machine. 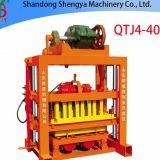 INQUIRY ABOUT QT6-15 fully automatic hydraulic cement block making machine, brick machine for saleShandong Shengya Machinery Co., Ltd.